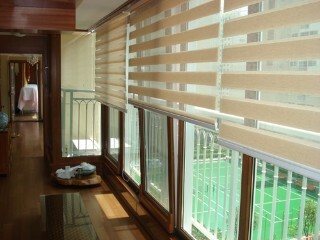 Blind Concepts is your best choice when it comes to restoration work for blinds. We provide blinds cleaning, blinds repair, blinds installation and blinds replacement services to all of Brisbane, Ipswich, Logan and the Northern suburbs. The methods and services we provide are sure to give your blinds the new and sophisticated look you so desire for your interiors. Since the company’s establishment in 1999, the company has been devoted to providing practical and innovative solutions to interior blinds. Blind Concepts’ cleaning, repair and replacement solutions are geared to help customers save money by promoting the re-use and restoration of old and damaged blinds. High quality service and reliability are our main driving force in this business. We offer free quote of the service to be rendered and complete the service in the fastest manner possible. Blinds Concepts Brisbane only uses environmentally friendly cleaning solutions to cleaning and restoring blinds. Our ultrasonic cleaning method is the latest most effective technology for effectively removing stains, dirt and grime in blinds. The fast and efficient cleaning system uses minimal amounts of chemicals and water, making it an environmentally sustainable alternative to cleaning blinds. Our ultrasonic cleaning method is also guaranteed to be 100% pollution free and environmentally safe. We also provide fast and efficient repair service to restore the perfect condition of your blinds. For a renewed look of old and blinds, we provide replacement of blinds, whether for single slat or multiple and entire blinds. Blinds Concepts is dedicated to providing high quality blind cleaning, repair and replacement service. Our services cover various types of blinds, including vertical blinds, roman blinds, oriental, plain or exposed batten and Holland blinds. We also service Venetian blinds, including aluminium blinds, wood composite blinds, 50mm poly-resin blinds with timber look finish, and lacquered or oiled cedar blinds.